There are a lot of kinds frame on electric fat tire bike based on customers requirements. Different frame is the main part to decide electric bike appearance. Someone likes straight lines frame, more concise, someone likes bent frame as electric bike frame. 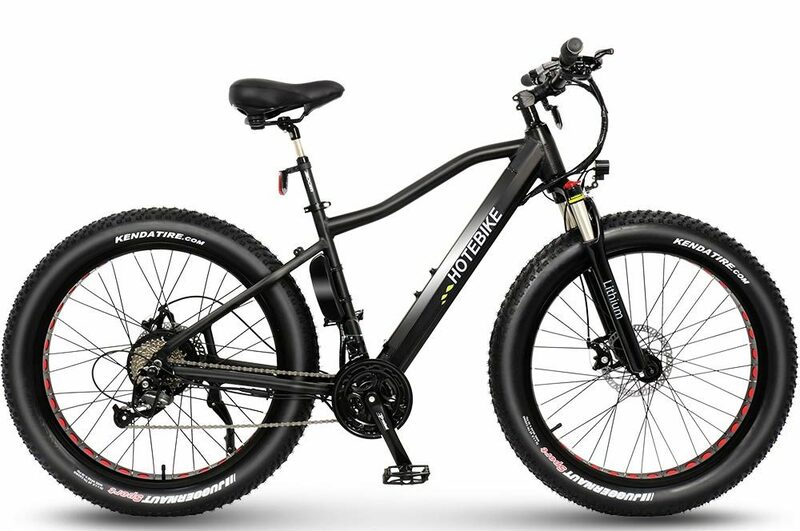 In order to deal with different customers favorites, offering you a new frame electric fat tire bike – bent frame electric fat tire bike. The electric fat tire bike frame, which is different from other electric bike frame, made of aluminum alloy and design with fluent lines being a bent frame. The frame material help electric bike more light, corrosion resistance, durability and longevity. And the design of electric bike frame is suitable for those who like curved things. This electric fat tire bike in KENDA 26”*4.0 fat tire wheels, which riding quality is better than small or large wheels. The fat tire can ride on different terrains. 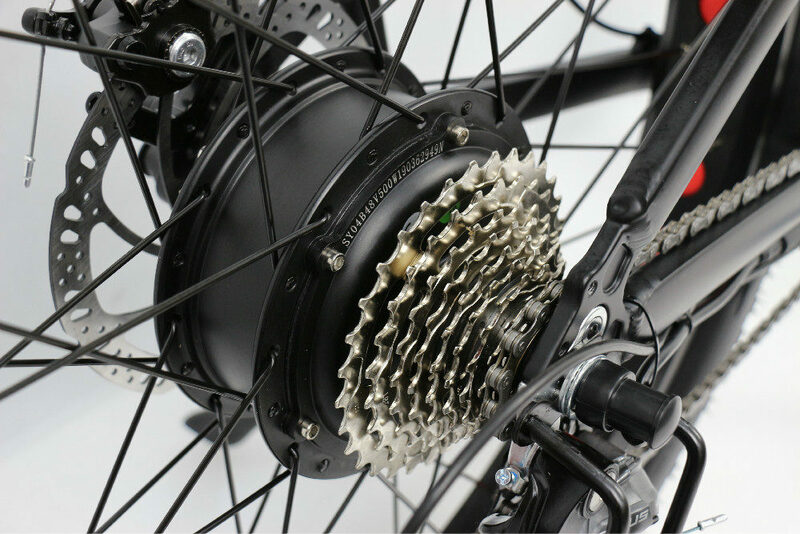 500W high power brushless hub motor mounted on electric fat tire bike, which will assist you riding at 35KM/h road speed limit easily. Fast and insane riding on the road. Not only get out with friends and commute, also riding by exercise every day. Or worry about traffic jams at commuter time. it will be a good choice for you and help you cycling on the road fluently. Large capacity removable 48V lithium battery was hided in electric fat tire bike frame, and equipped with a smart lithium battery charger. Easy chasrge port system makes it charge easily, just only need 4-7 hours. And the battery supports 40-60km riding to adapt to your need of ling-distance riding. Electric fat tire bike also have two working modes. One is E-bike, another is assist bicycle. Under these, you can combine two modes to help you riding more easy, whatever travel a long time cycling and exercise. There is a LCD display was installed on the center of electric fat tire bike handle. 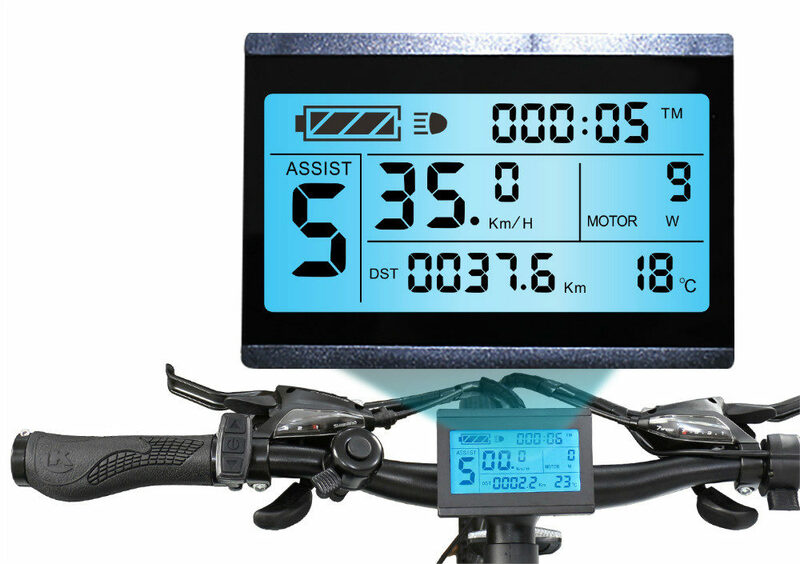 It will show you electric capacity, motor power, riding speed , trip distance, PAS level, cruise function, front light sign, motor operating temperature and more. According to the LCD information, you could try to adjust riding speed and time with two electric fat tire bike working modes. Make you experience a comfortable and interesting riding. Excepting motor, battery, LCD, wheel size and frame material. 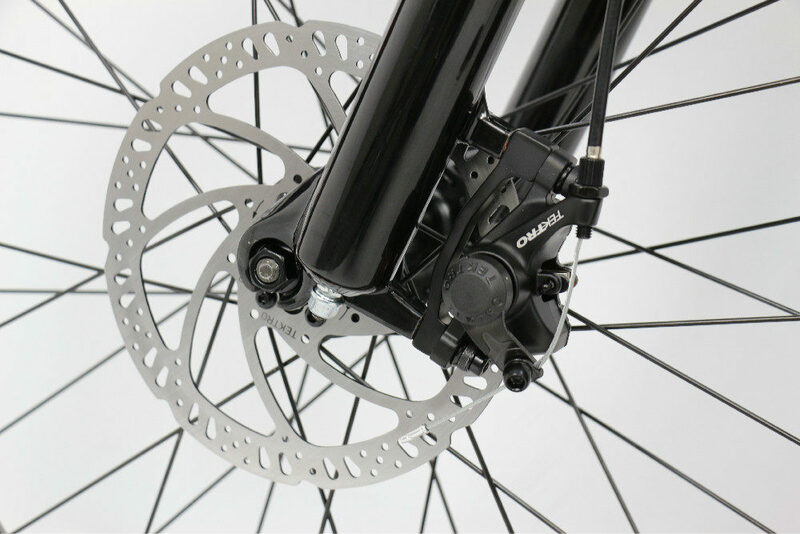 Electric fat tire bike mounted on disc brake in front and rear wheel to protect your riding safety. Provide you enough friction and braking force with a little power. It is safe to ride in rain and all-weather as a reliable stopping power. 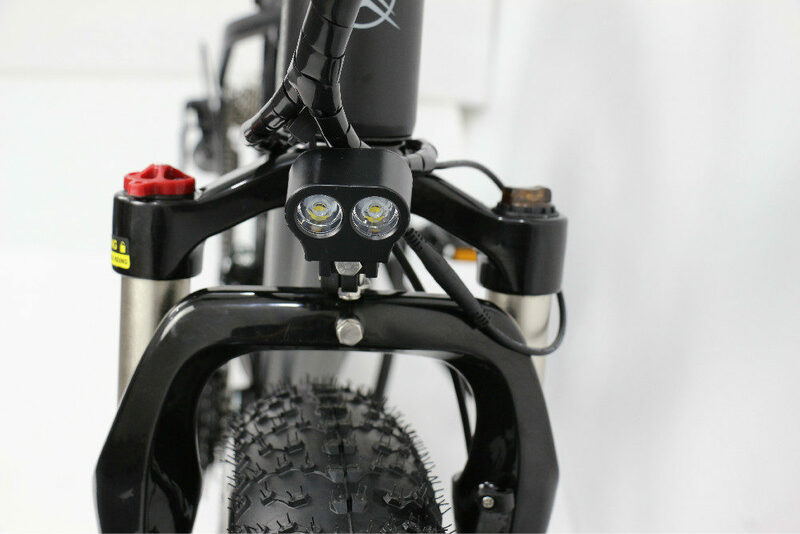 There is 3W bright front LED light for night riding to ensure your riding safety, and equipped with a mobile phone charging port for you to help you phone on low electric capacity. And there is a shock absorber saddle on electric fat tire bike. Soft saddle and shock absorber function give you own a comfortable experience on your long-distance riding. The suspension front fork made up aluminum alloy with lockout and it adjustable range is 100mm. Reduce riding vibration by suspension front fork and shock absorer saddle. Waterproof resistant chain reduce its replace times and help you maintaining times. If you are interested in electric fat tire bike or have any question, please contact us below freely! Prev： Do you need electric bike drop shipping supplier?